I'm a pretty big fan of snacking, I mean it's a little ridiculous how much I like chowing down on a tasty snack. You can find me snacking on pretty much anything sweet, spicy, or just simply delicious! While I love snacking and my list of favorite foods could go on for miles and miles, I'm also trying to lose weight so I have recently started following a meal plan. I'll be sharing more details about the plan once I have worked out what actually works for me, trying different calorie amounts and macros for a few weeks to make sure I'm eating healthy and I'm happy with what I'm eating. I can't wait to share all the details, but for now I'm sharing my favorite part of my meal plan, I get to eat less, but I'll be eating more. What I mean by that is I'll be eating less during each meal, but I'll also be eating more meals through out the day. This also means that I get to snack. Luckily, I get to snack on delicious, healthy foods! 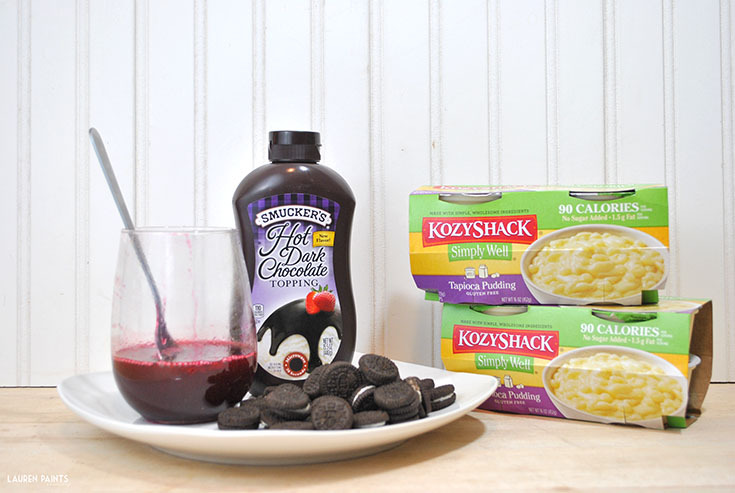 My favorite snack is a Kozy Shack® Simply Well® Tapioca Pudding made into a delicious little dessert though. Simply Well is only 90-calories, has no sugar added, it's gluten-free, and it's my snack of choice - made into dessert or on it's own, it's simply delicious! 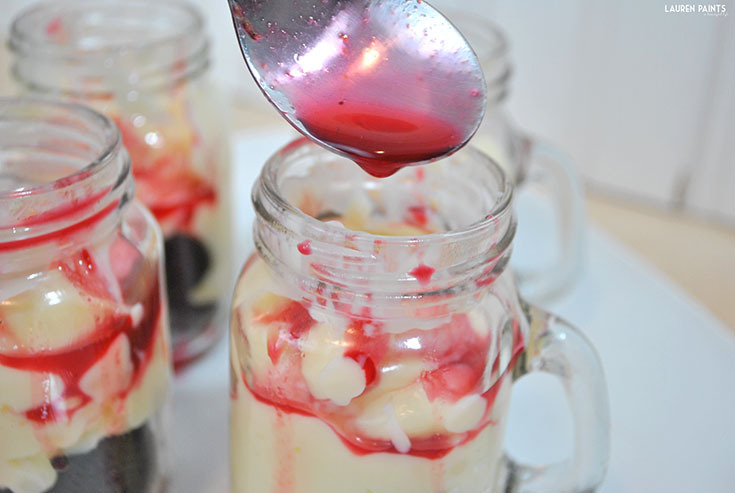 This better-for-you dessert is prepared in a mini mason jar portion size so it's just the right size to satiate your sweets craving without feeling guilty and here's a bonus, it's super easy to make! 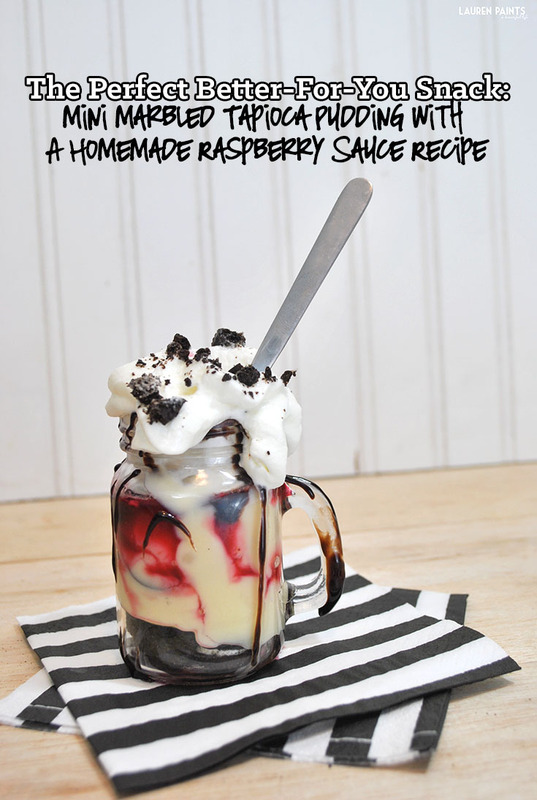 The only thing that I actually made for this recipe is a super simple raspberry sauce. While it's a simple addition, it just makes this pudding dessert taste beyond incredible and since it's homemade you get to choose how much added sugar you add to the sauce (if any at all)! I fixed up a whole batch of these beauties to share with some friends recently and they were all pleasantly surprised to find out this Marbled Tapioca recipe was fairly healthy! This dessert almost doesn't even need a recipe listed, but I wanted to break it down just in case someone has any questions on how I made this delicious dish. While you are gathering your ingredients, go ahead and place the frozen raspberries and sugar (in the amount you prefer - I used 1/3 cup) in a sauce pan. 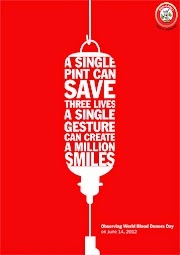 Allow it to simmer, stirring occasionally. It'll take about ten minutes to turn into a sauce so we'll come back to this (but don't forget to stir it)! Next you'll need to place a few sandwich cookies in your container (I used Mini Mason Jars, you can use a bowl, a ramekin, whatever your heart desires). Now you'll add the star of the show, the Kozy Shack® Simply Well® Tapioca Pudding. 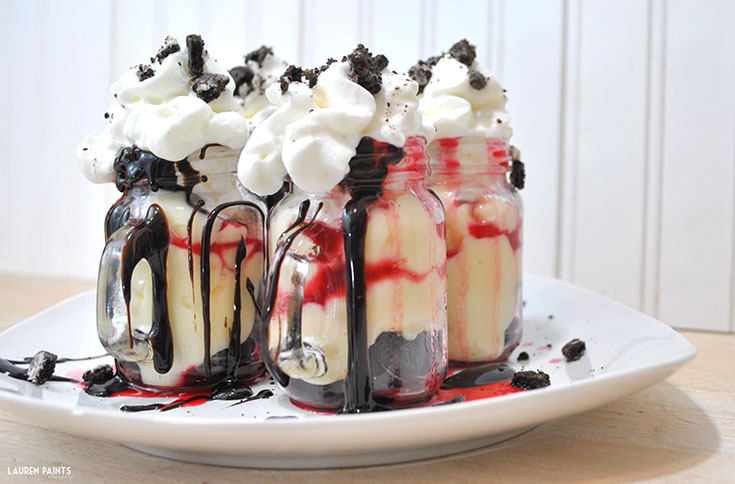 I used 2 1/2 containers of Kozy Shack® to partially fill my mini mason jars, just FYI. Notice I said partially fill, leave a little space if you want to add whipped topping. Now would be a good time to go ahead and add the Hot Dark Chocolate (after following the prep instructions on the container). 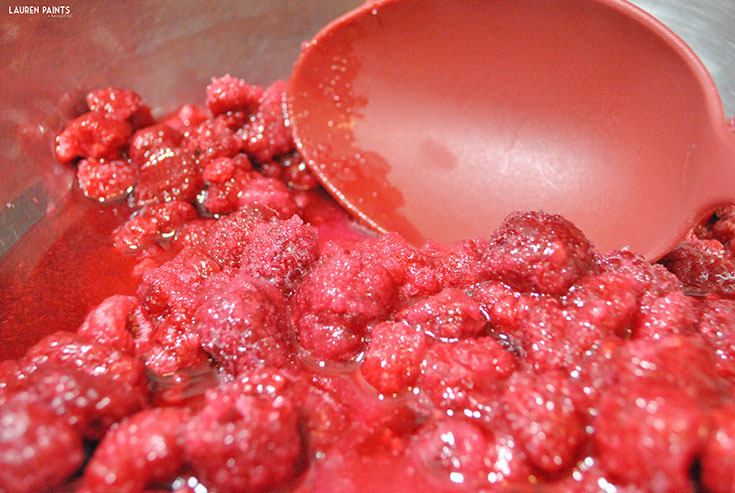 Next you'll want to remove the raspberry sauce from the stove and strain it to remove seeds. Pressing the mixture to make sure you get all the delicious sauce! Lastly, go ahead and get crazy with the sauce! Pour it everywhere. 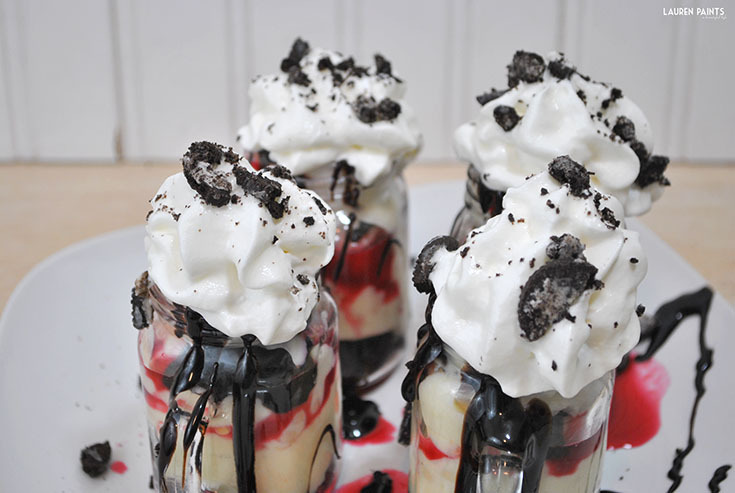 Top with Whipped Cream and sandwich cookie crumbs and you have a dessert your friends and family will go crazy over! I like to think of these tasty little desserts as my version of a healthier cheesecake, while the texture isn't the same the taste is even better! 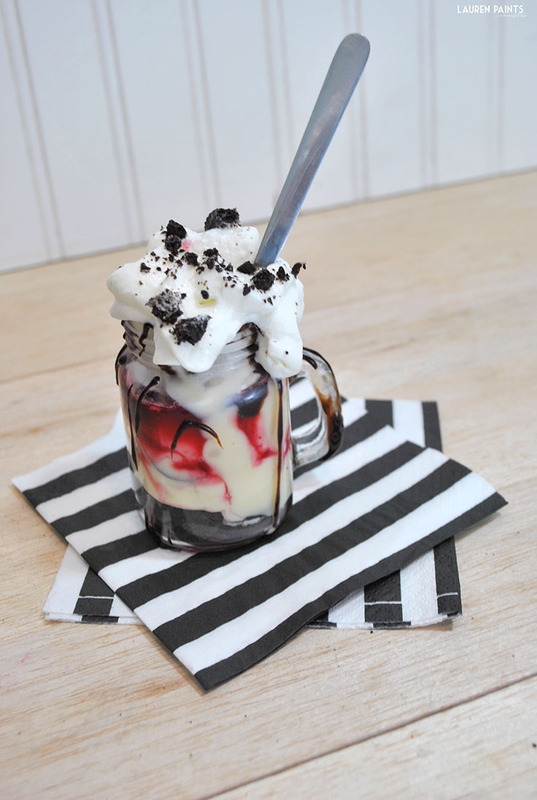 Now that I've shared this delicious recipe, who wouldn’t want a chance to try Kozy Shack® Simply Well® Pudding for themselves? Maybe you don't like Tapioca? They also offer Rice Pudding and Chocolate Pudding! Can you say yummy?! 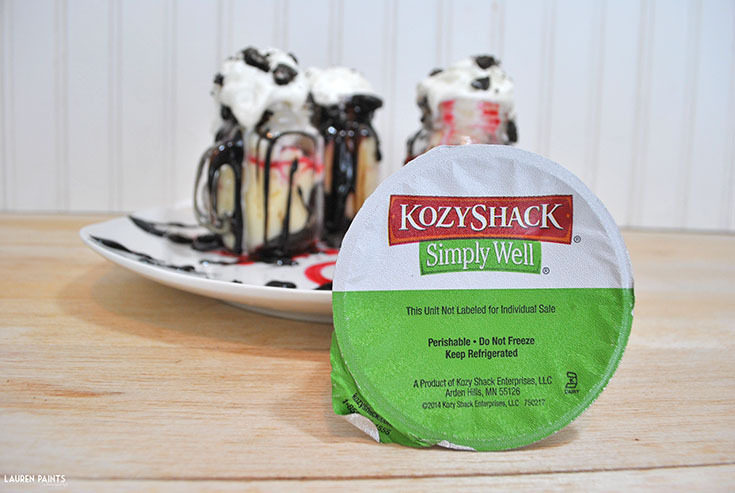 Enjoy Snacking Simply with Kozy Shack® Simply Well®! Disclaimer: Must be 18 or older to win. This promotion is in no way sponsored, endorsed or administered by, or associated with, Facebook, Twitter or any other company mentioned above. 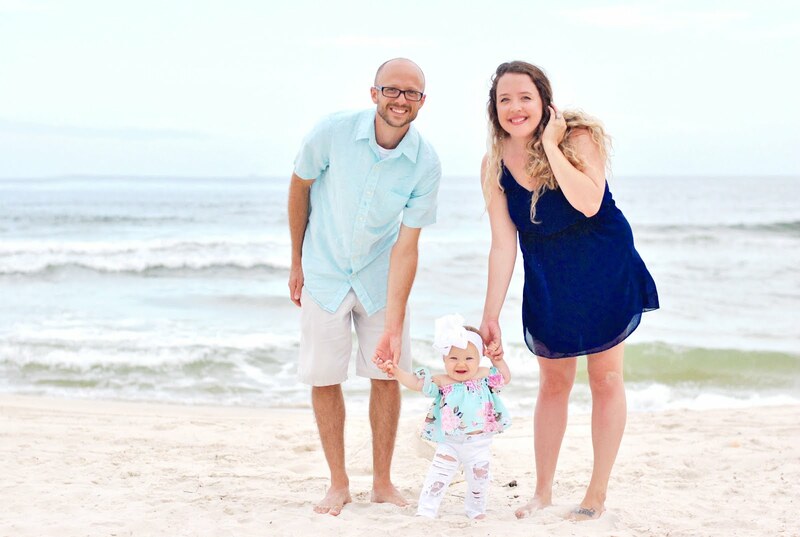 You understand that you are providing your information to Lauren Paints | a beautiful life and not to Twitter, Facebook, or any other entity, I will not use your information other than to e-mail you a winning notification if you are the chosen winner. Enter using the Giveaway Tools form above. Void Where Prohibited. Please note that Lauren Paints | a beautiful life is not responsible for sponsors that do not fulfill their prizes.